The Child Center of NY is made up of dedicated, experienced professionals from diverse backgrounds with a common passion for helping children and families reach their full potential. Traci Donnelly joined The Child Center of NY as Chief Operating Officer in July 2013 and became CEO and Executive Director in February 2014. In her previous position as Senior Vice President and New York State Regional Director of Phoenix House, Traci presided over $60 million worth of New York State bonding projects and residential and outpatient treatment programs. Earlier in her career, Traci worked as a director of mental health services and a special education teacher. She received her bachelor’s in psychology and criminal justice and her master’s in education from Dowling College in Oakdale, New York, and she is a New York State certified special education teacher. 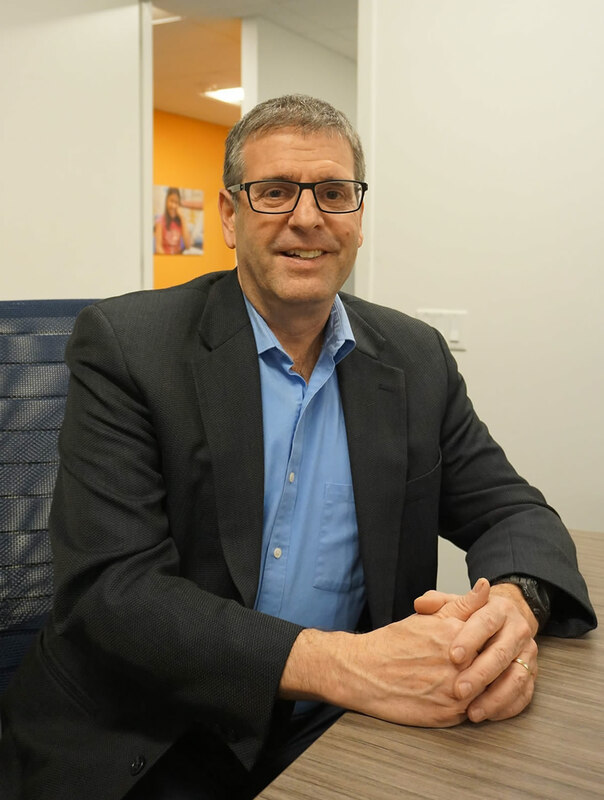 Steve Donowitz joined The Child Center of NY in May 2014, bringing with him an abundance of nonprofit, education, and government finance and operations experience. 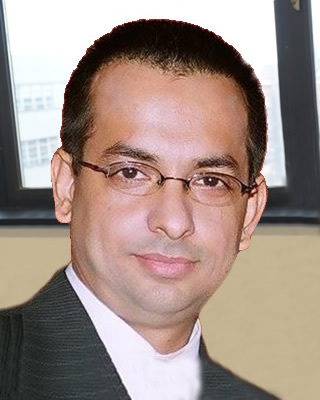 Steve has an MBA in Accounting and Management from New York University. Prior to joining The Child Center, Steve oversaw strategic initiatives and infrastructure development while serving as Vice President of Phoenix House. He previously served as Vice President of Finance at Phoenix, responsible for an annual operating budget totaling $100 million, and Vice President for Adolescent Services, overseeing residential and outpatient programming in New York. Deepmalya Ghosh has been part of The Child Center team since 1993 and was recently promoted to Senior Vice President of External Affairs and Community Engagement after serving two years as Associate Executive Director of Youth Development and Community Engagement. Prior to this role, Deep served as The Child Center’s Director of Youth Development Programs for 10 years, Program Associate for two years, Beacon Center Director for three years, and Clinical Social Worker for five years. Deep holds a bachelor’s in psychology from SUNY Buffalo, a master’s in social work from New York University, and is a licensed clinical social worker. 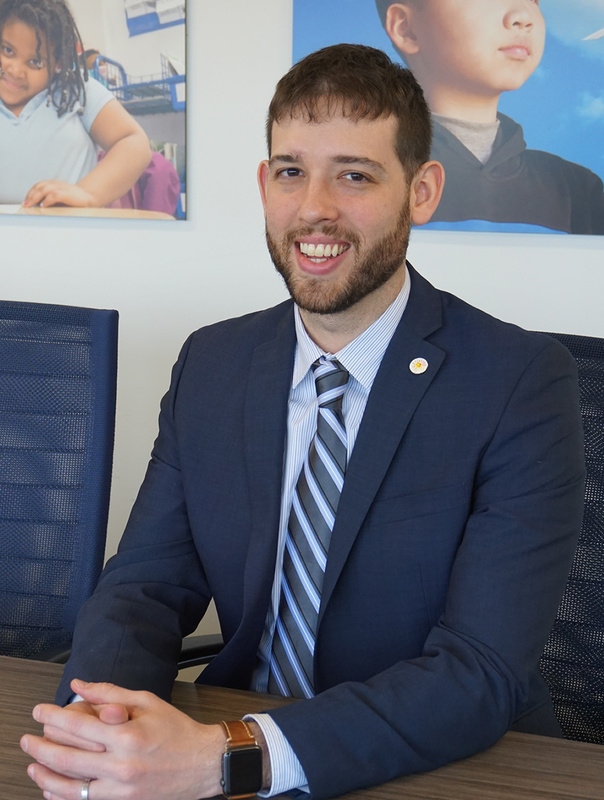 With his extensive experience, education, and intimate knowledge of The Child Center, Deep has presented on a plethora of panels about effective afterschool programs. Learn more about Deep Ghosh in this Child Center Spotlight from when he was serving as Associate Executive Director of Youth Development. 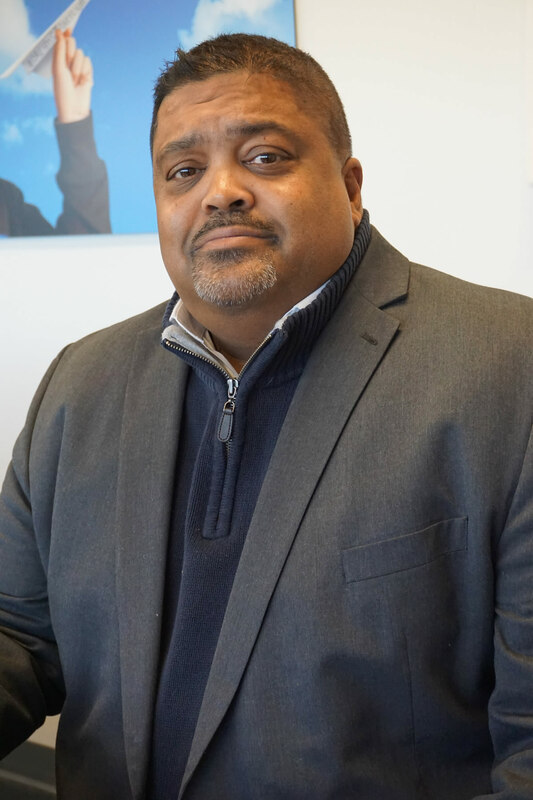 Leon is our data guy, responsible for keeping The Child Center’s decision-making on course at the program and senior management level by leveraging data analytics and industry proficiency, as well as employing financial and business principles. He plays a key role in ensuring that current and future programs remain aligned with the agency’s core competencies and are financially sustainable. He holds a bachelor’s in forensic psychology from John Jay College of Criminal Justice and a bachelor’s in applied mathematics from Stony Brook University. His favorite color is purple. 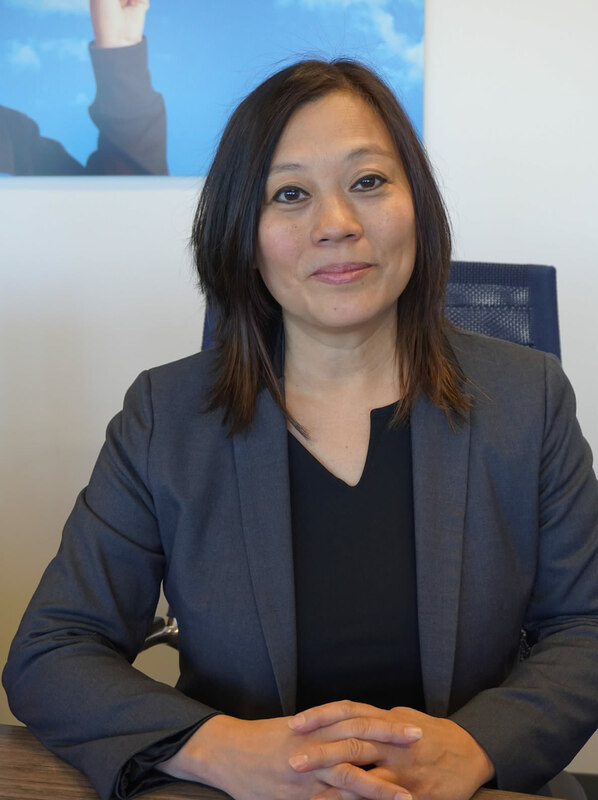 Pamela Gubuan joined The Child Center of NY in May 2016, overseeing compliance and risk management. 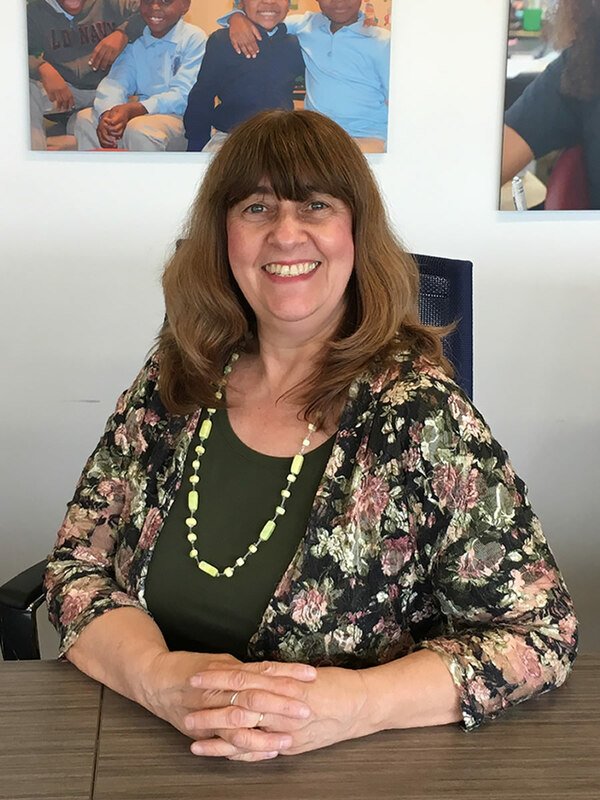 Prior to joining The Child Center, Pam served as Vice President, Compliance Officer of Phoenix House and previously served as the organization’s Internal Audit Director. Pam holds a bachelor of science in business administration with a concentration in accounting from Washington University in St. Louis. She is licensed as a Certified Internal Auditor in the State of New York and has a National Certification in Healthcare Compliance. 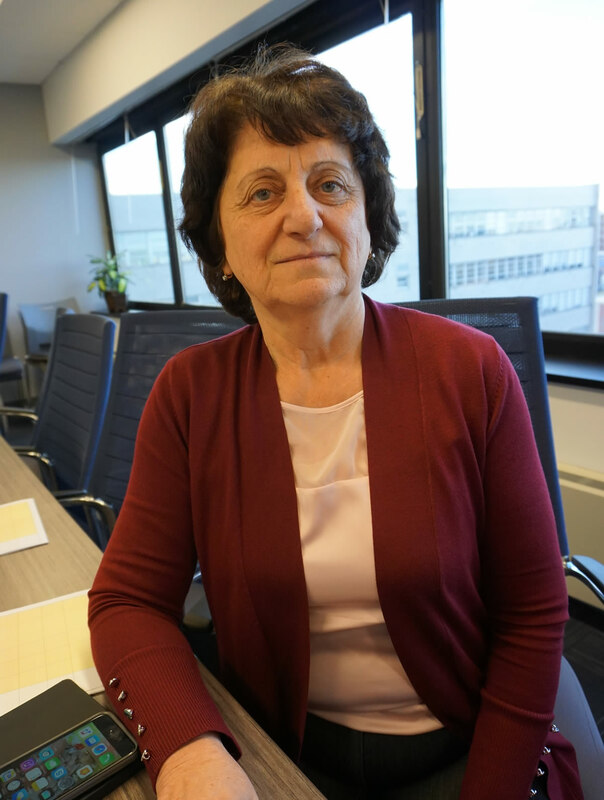 Diana Morozov joined The Child Center of NY in 2015 after spending more than two decades in the fiscal department of FEGS Health & Human Services. Diana began her work at FEGS as a Budget and Billing Analyst and was progressively promoted to positions of increasing responsibility, culminating in an 11-year tenure as Vice President, Financial Analysis. Diana holds a bachelor’s in industrial management and planning/mathematical models and attended a professional studies program at New York University in the area of management planning control and effective budgeting. Elliot Weinstein is a Human Resources leader with more than 25 years of diverse HR and management experience in both the for-profit and nonprofit worlds. With a bachelor’s degree from Cornell University’s School of Industrial and Labor Relations and a master’s of business administration from NYU’s Stern School of Business, Elliot has built his work experience upon his focused educational background. His emphasis is on supporting the mission of the organization by providing seamless and efficient service to the staff responsible for helping our clients while building a Human Resources platform for change and growth. Elliot has lived most of the last 20 years in Queens, where he raised his two sons and continues to be an active member of the community, coaching for the Forest Hills Youth Activities Association and actively supporting local causes. Learn more about Elliot in this Child Center Spotlight. 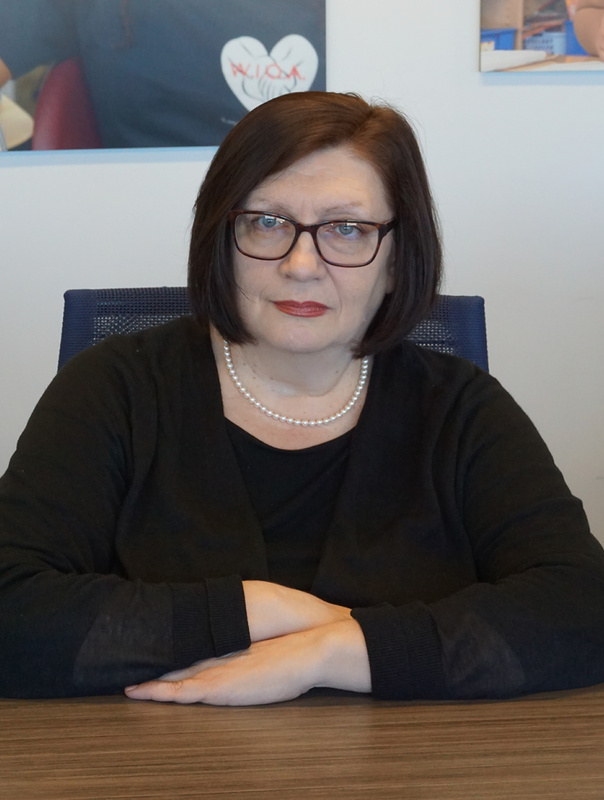 Sofya Badalbayeva joined The Child Center of NY in early 2016 as the Associate Executive Director of Revenue Cycle Management. Previously, she worked at Phoenix House Foundation for 23 years. For 17 of those years, she served as Regional Director of Client Billing and Benefits, responsible for third-party billing and regulations for $32 million in annual revenue. She holds a bachelor’s and master’s in education and earned a Management and Leadership Seminar certificate from Cornell University. Eugénie Bisulco has been at The Child Center of NY since 2015, helping to develop with the CEO and board members a new direction for public relations and marketing/branding strategy for the agency. As the first-ever full-time Communications officer in the organization’s 65-year history, she has enjoyed the creative freedom to pitch new ideas — and the authority and voice to implement them. Her favorite aspect of this work has been interviewing clients and staff, learning with each new meeting why the agency has enjoyed such longevity and success. Eugénie has a nearly quarter-century career in writing and editing, having spent many of those years working on the senior staff of President Bill Clinton, both in and out of the White House. She earned a double bachelor’s degree in English and studio art (with honors in art) from Wellesley College, and a master’s degree in writing from Johns Hopkins University. 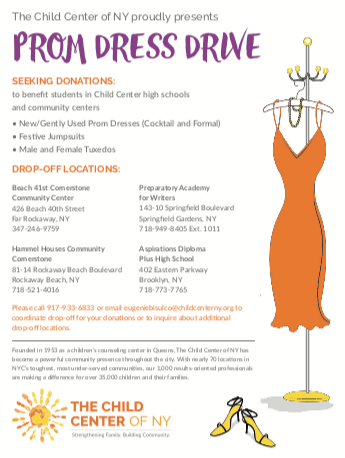 She resides in Ozone Park, Queens, putting her in the heart of where The Child Center’s daily work is particularly evident. 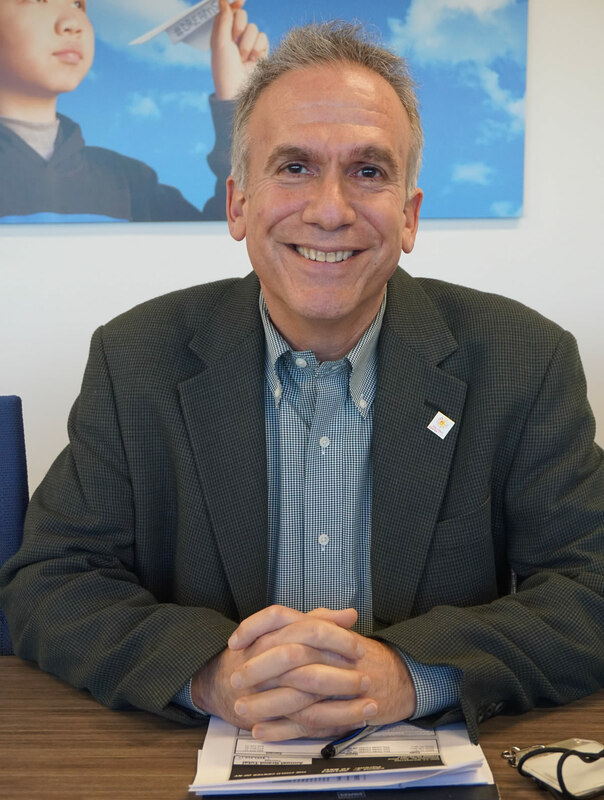 Robert Cizma came to The Child Center of NY in August 2016 with nearly 30 years of experience in both the mental health and child welfare sectors. 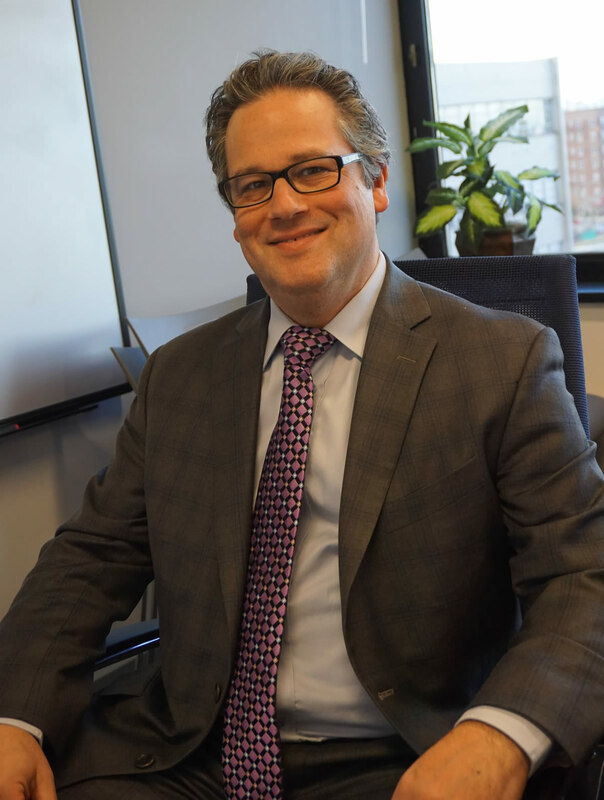 Before joining The Child Center team, Robert served as a consultant for NYS Coalition for Children’s Behavioral Health and Vice President of Mental Health and Preventive Services at JCCA. He has extensive knowledge of Targeted Case Management, home and community-based wavier services, preventive services, evidence-based practice, Medicaid managed care, and Health Homes. 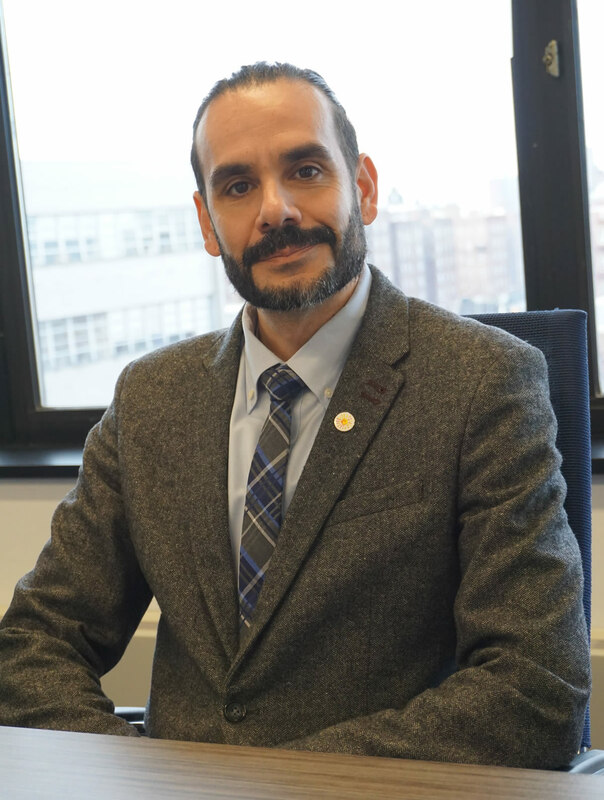 He has been active in a number of coalitions, including The Council of Family and Child Caring Agencies, The Coalition of Behavioral Health Agencies, and the New York State Coalition for Children’s Behavioral Health. Robert holds an M.S.W. from Hunter College; an Advanced Certificate in Clinical Social Work from New York University; and an Executive Certificate from the Institute for Not-for-Profit Management, Columbia University Graduate School of Business & Wiener Education Center of UJA Federation of New York. Learn more about Robert Cizma in this Child Center Spotlight. Amanda Etienne’s first position at The Child Center of NY was social work intern at our South Jamaica Clinic. She joined The Child Center’s Youth Development team in 2004, as the director of the adolescent HIV prevention program, a position in which she served for nearly six years before being promoted to Associate Director of Youth Development, Special Programs. 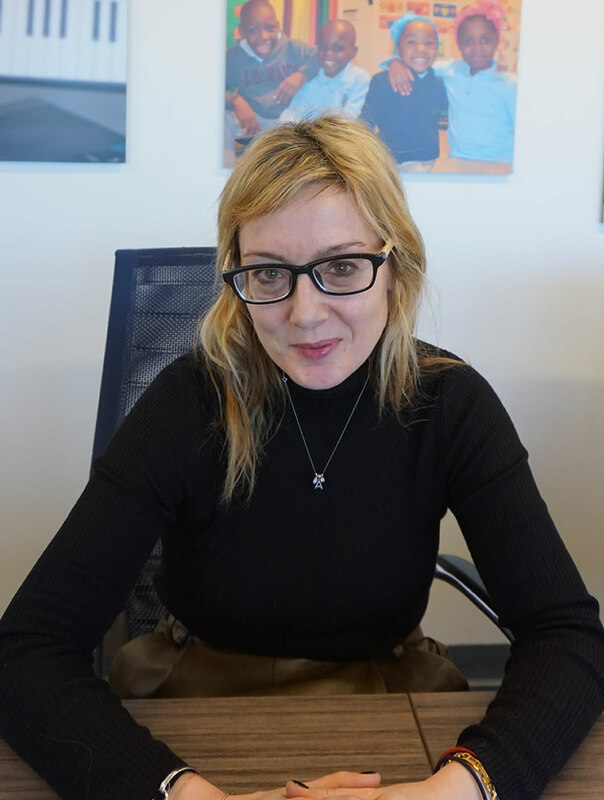 Prior to joining The Child Center, Amanda worked for nine years as a psychiatric social worker in the substance abuse division of Bronx-Lebanon Hospital Center (now BronxCare Health System), and she served as a forensic social worker for the Legal Aid Society. Amanda holds a bachelor’s degree in forensic psychology and a master’s degree in social work from Hunter College School of Social Work. Amanda’s passion is to serve the community through her work with adolescents and families. She considers herself a service-focused social work administrator with a strong commitment to serving the needs of disadvantaged youth and adults in high-needs communities. Her efforts were recognized in 2016, when she was selected to receive the prestigious PASEsetter Award from the Partnership for After School Education. Learn more about Amanda Etienne in this blog post about her earning a PASEsetter Award. Nicholas Ferreira first joined The Child Center team in 2008. He began as a Site Director, a position in which he served for nearly two years before being promoted to Associate Director of Youth Development and Quality Assurance. He was promoted to his current role of Vice President of Youth Development in the summer of 2016. Prior to joining The Child Center, Nick served as Assistant Principal at P.S./I.S. 73K for three years, a literacy coach for two years, and a teacher for five years. He holds a bachelor’s and master’s degree in elementary education from the University of Florida and a Certificate of Supervision from Baruch College. Between his education and professional experience, Nick brings a wealth of knowledge of learning theories and pedagogy and a commitment to nurture educators and increase performance. 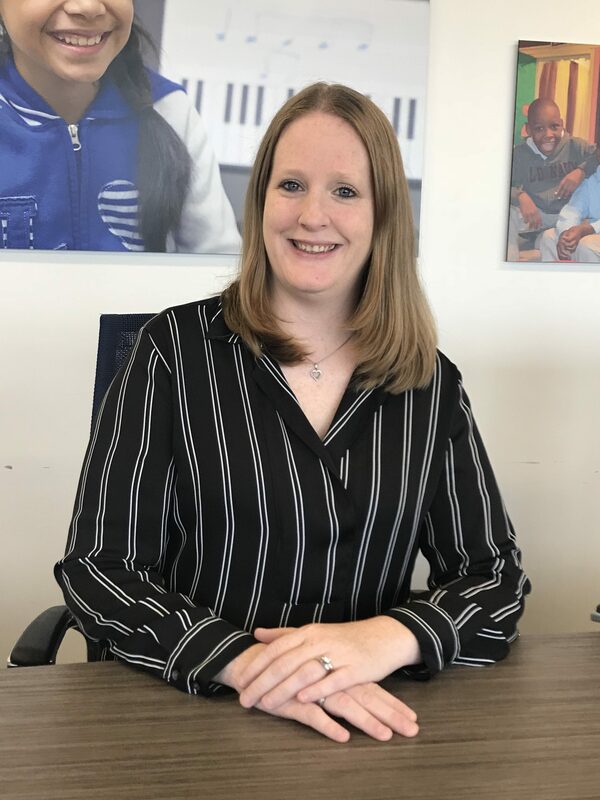 As Vice President of Administration and Operations in The Child Center of NY’s Early Childhood Education division, Tanya Krien works toward strengthening and streamlining best practices and communications across The Child Center’s three Head Start programs and our Early Head Start and Parent-Child Home Program. From 2008-2018, Tanya served as Director of The Child Center’s Early Head Start program. 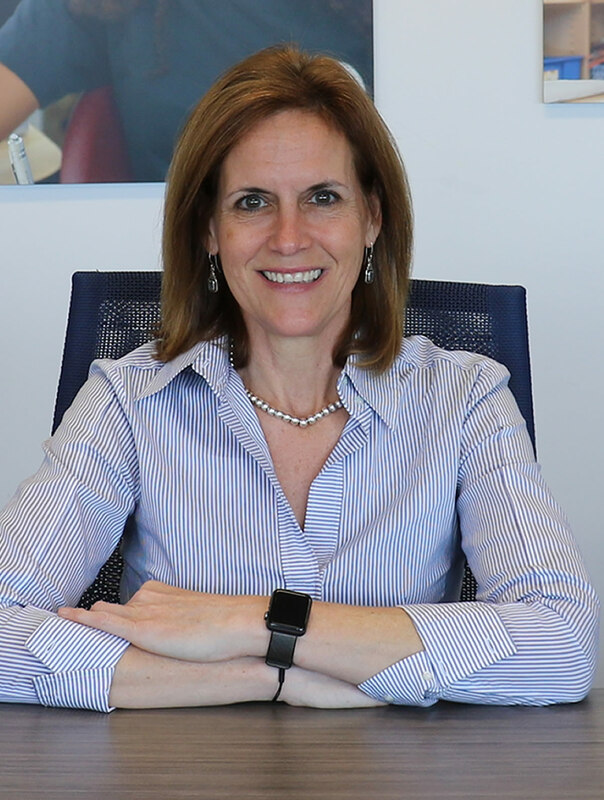 In 2015 her role was expanded to include oversight of the Parent-Child Home Program, and in 2017, Tanya was awarded The Child Center’s Russell L. Carson Visionary Award, established to recognize employees who perform above and beyond expectations, initiate creative solutions, and demonstrate entrepreneurship in increasing the accessibility to services and opportunities for children and families. Prior to joining The Child Center, she worked with children of all ages, including those with special needs, in public schools and nonprofit organizations. Tanya holds a bachelor’s degree in elementary education and psychology and a master’s degree in early childhood literacy. Tanya is certified in elementary education and literacy for children birth to 6th grade. Yehica is a consummate human resources professional with a proven track record of aligning the workforce with organizational goals. Her areas of expertise include risk management and compliance, employee relations, performance management, employment law, technology, and the day-to-day management of HR operations in unionized settings. 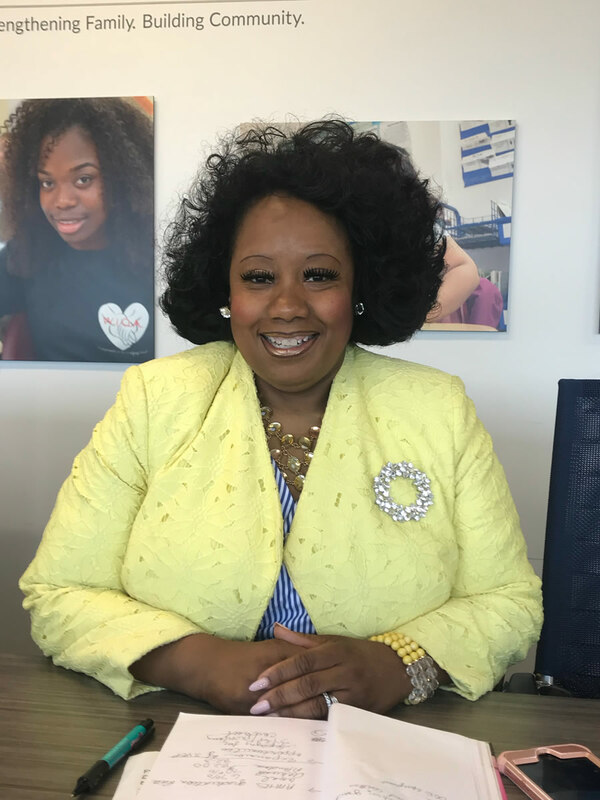 She standardized The Child Center’s hiring process and payroll practices and played a key role in implementing an automated system that reduced administration costs by more than 10 percent. She also instituted procedures for maintaining compliance and successfully managing various audits. Before she came to The Child Center, Yehica served in Human Resources at the Anti-Defamation League’s New York office, where she was honored with the organization’s Luzell Award in recognition of exceptional work. Yehica is PHR certified, bilingual in English and Spanish, holds a bachelor’s in psychology, and is an active member of the Human Resources Professional Association of Nonprofit Organizations. Marie Mason has been in the field of early childhood for more than 35 years. She joined The Child Center of NY in 2002 as the Education Director of the agency’s first early childhood education program in Woodside, Queens. Since then, she has contributed to the expansion of the Early Childhood division, helping the agency secure additional contracts with the Administration for Children’s Services for Head Start/EarlyLearn sites and with the federal government for Early Head Start. Prior to joining the agency, she held administrative director positions with the Community Program Centers of Long Island, ACE Early Childhood Center, and First Class Child Care Center. She holds a bachelor’s degree in music from SUNY Brockport and a master of science degree in elementary education from SUNY Potsdam, as well as NYS Permanent Certification Pre-K-6. As Vice President of Programs and Curriculum in our Early Childhood division, Marie is committed to enhancing the quality of learning environments across all sites and to supporting the professional development of the staff. Linda Rodriguez has been with The Child Center of NY since October 2008. For 10 years, Linda led the Early Childhood Education division, overseeing the Head Start, Early Head Start, and EarlyLearn programs at four locations. 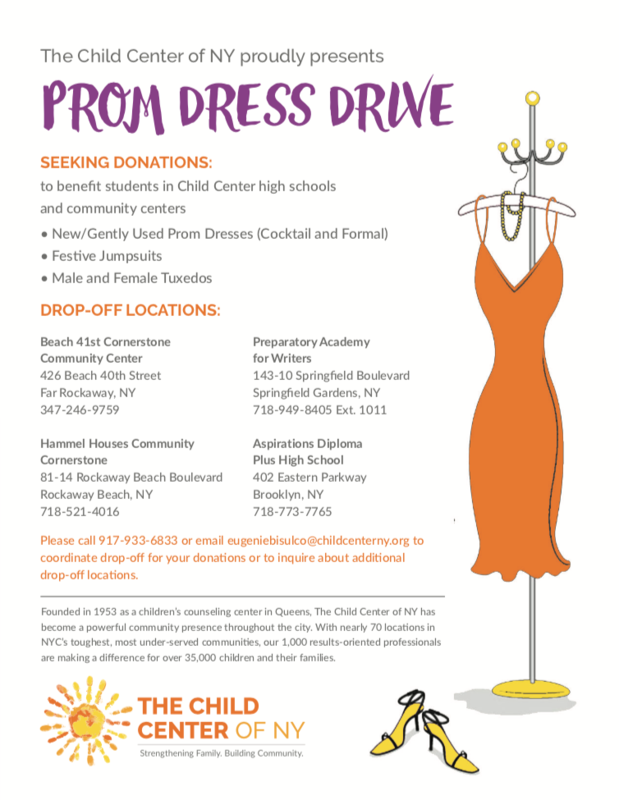 Prior to joining The Child Center, she served as Director of Early Childhood Programs at the Children’s Aid Society and has worked in many other prominent New York City organizations. 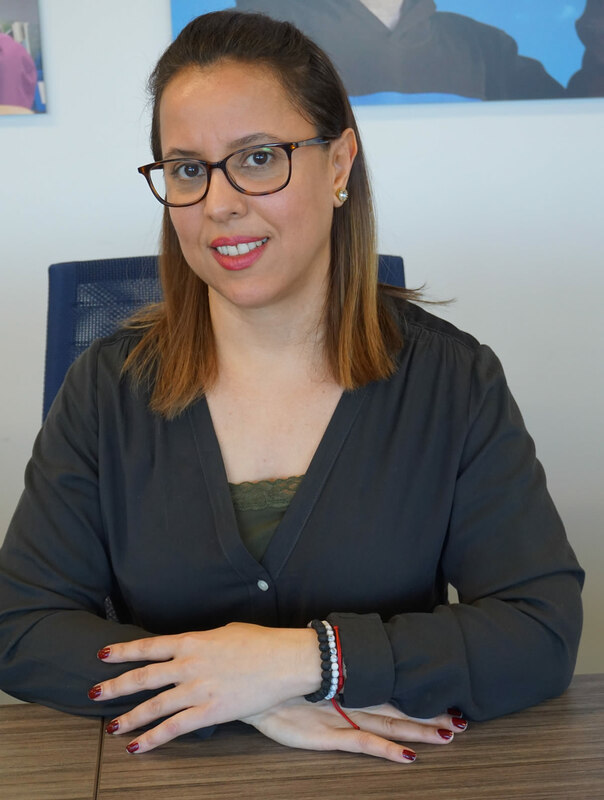 Bilingual in Spanish and holding a master’s in education from Columbia University and a New York State public school teaching license, Linda is certified to teach children from nursery school to 6th grade. Linda’s experience in human services provides a holistic approach to integrating programming across the behavioral health division. 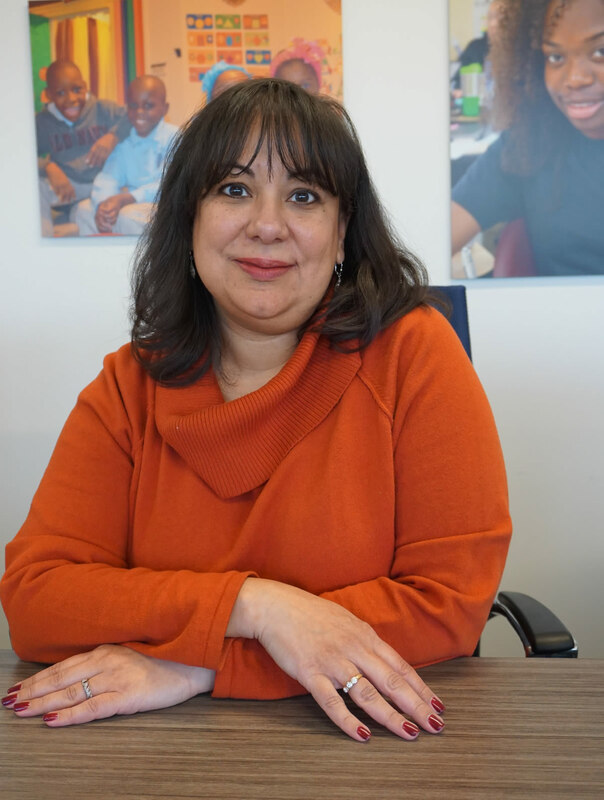 Learn more about Linda Rodriguez in this Child Center Spotlight from when she was serving as Vice President of Early Childhood Education and Prevention. Dr. Yoon is a behavioral health leader with 18 years of experience in mental health and substance abuse services. 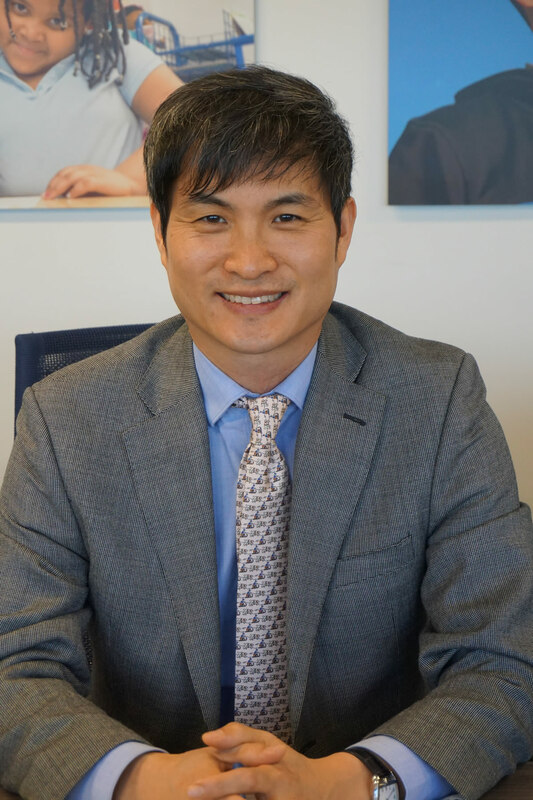 With a bachelor’s degree from Yonsei University in Seoul, a master’s in social work from the Silberman School of Social Work at Hunter College, and a doctorate in social work from the University of Pennsylvania, Dr. Yoon has built his expertise in cognitive-behavioral therapy, dialectical behavior therapy, alcoholism and substance abuse treatment, play therapy, marriage and family therapy, and many evidence-based treatment models. His primary tasks are to train our clinical social workers and interns on various evidence-based therapy models, craft the service delivery of all clinics to ensure high-quality services, and develop and implement strategies to integrate various lines of business and value-based care initiatives. An immigrant from South Korea, Dr. Yoon has lived in Queens for more than 17 years. He serves the community as a columnist for monthly magazines S.CASA and Mom & I, a regular radio guest on KRB, FM 87.7, and a speaker at social and public health events. He is also a former Vice President of the Korean American Association of Flushing, and currently serves as a member of the NYC Department of Mental Hygiene’s Advisory Board and the NYC Drug Strategy Advisory Council, appointed by Mayor Bill de Blasio. Learn more about Dr. Yoon in this Child Center Spotlight. Sandeep Dhingra, M.D., is a psychiatrist working with child, adolescent, and adult populations. After completing his Adult Psychiatry residency from Mount Sinai School of Medicine (now called the Icahn School of Medicine at Mount Sinai), Elmhurst campus, Dr. Dhingra earned a fellowship in Child and Adolescent Psychiatry from the same institution. Dr. Dhingra has extensive experience in working with all kinds of childhood psychiatric disorders, including ADHD, mood disorders, and anxiety disorders. Dr. Dhingra believes that for an effective intervention, a team approach works best. Dr. Dhingra also has worked at Creedmoor Psychiatric Center Outpatient Services. The Child Center of NY employs 1,000 licensed therapists, trained home visitors, social workers, teachers, youth work professionals, and supervisory and support staff. These dedicated professionals work every day to help the children and families who walk through our doors overcome incredible adversity to achieve their full potential. Please see the Our Team page for a sampling of their stories.